← Buying an old car: Is conventional wisdom wrong? As regular readers of my blog will know, at the moment I am enjoying life in Montreal. 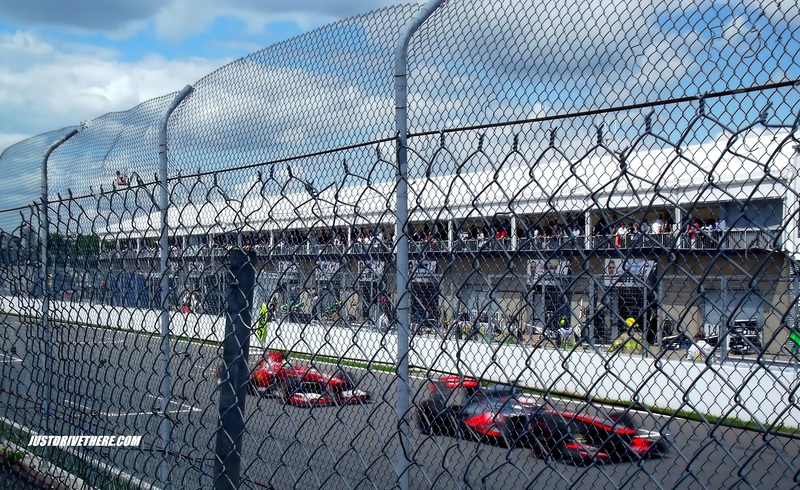 And in June, in Montreal, what better to do than to go follow the Formula 1 Grand Prix that took place from the 7th till the 9th on the Circuit Gilles Villeneuve? Being of a difficult nature (and a student), simply getting an entrance ticket was not enough for me. So I decided to volunteer in order to get an inside feel of what a Grand Prix is like. I volunteered on Saturday and Sunday, two very different days indeed! Even if the main show is the Formula 1 race, which, counting qualifications, will last a maximum of 4 hours, it is not the whole story! You see, when Formula 1 weekend is here, the Formula 1 cars are not the only ones on the track. This year, there were also the IMSA Porsche GT3 cup, the Ferrari Challenge, Formula 1600 and the Canadian Touring Car Championship taking place as well. 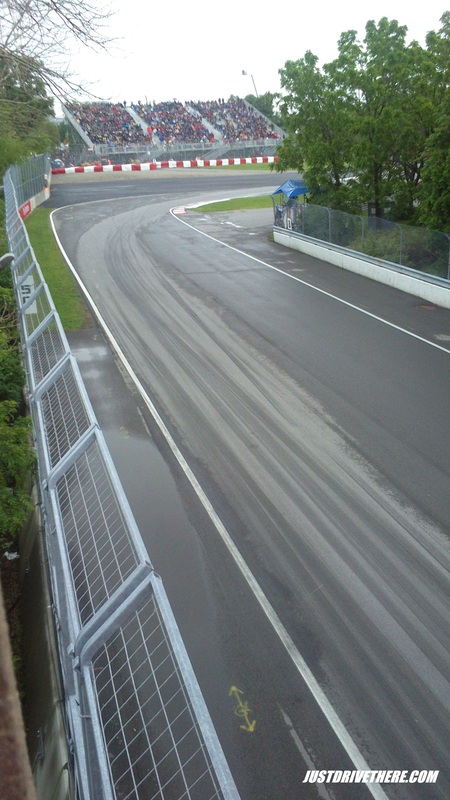 Turn 8 on Saturday, it’s wet! Needless to say, it was one very noisy weekend! Saturday, as you may know, featured mainly qualification races, which was a good thing, given it rained all day, hence all the crashes you may have seen on TV. That said, I was fortunate enough to be on the spectator bridge before turn 8, so I did have a nice view, and experienced for the first time the sheer noise of those V8 engines live! Even though I was wet and tired, I did enjoy Saturday. Needless to say, I was completely taken aback by Sunday. First of all, I was lucky to have changed position, and got a more inside look at the race. I started off the morning by overseeing the CTCC cars driving by the lake to get to the track. This also allowed me to see the track the way spectators would not see it, which is completely empty! Then, I was whisked along the lake in one of the Casino’s VIP private boats to help out at the VIP lounges. From there, I had a decent view of turns 1 and 2 of the track, allowing me to see the entire race. Before the actual Formula 1 race, the other races took place, but then it was time for the main event. After the driver parade, the national anthem, and an overpass by two CF-18 jets from the Royal Canadian Air Force, the race began. Those moments before the race are ones to be preserved; the anticipation of everyone, the tension and the air, being literally filled with excitement. From that point on, the only sound to be heard was the roaring engines, everyone else went silent. Partly due to the fact that it was impossible to communicate apart through gestures, but mostly due to how thrilling the race was. It is an interesting feeling, you want to talk, but just can’t, everyone goes quiet and listens. Yes, I will admit it, I rarely watch Formula 1 on TV, but to see it live, what an experience! Moreover, being in one of the VIP lounges, the cars were literally zooming a couple of feet from me, just before braking for the first bend. It was pure awesome. In the end, after 2 hours of racing, as you may know, Sebastian Vettel won, but overall, it was an exciting race, especially the Alonso/Hamilton duel. It must be noted though, that it was a fairly tragic ending, one of the track marshals having died at the track, moments after the race, being run over by the crane carrying Esteban Gutierrez’s Sauber crashed car off the track. This entry was posted in News and tagged casino, circuit gilles villeneuve, formula 1, grand prix, mclaren, montreal, race, red bull, sebastian vettel. Bookmark the permalink. 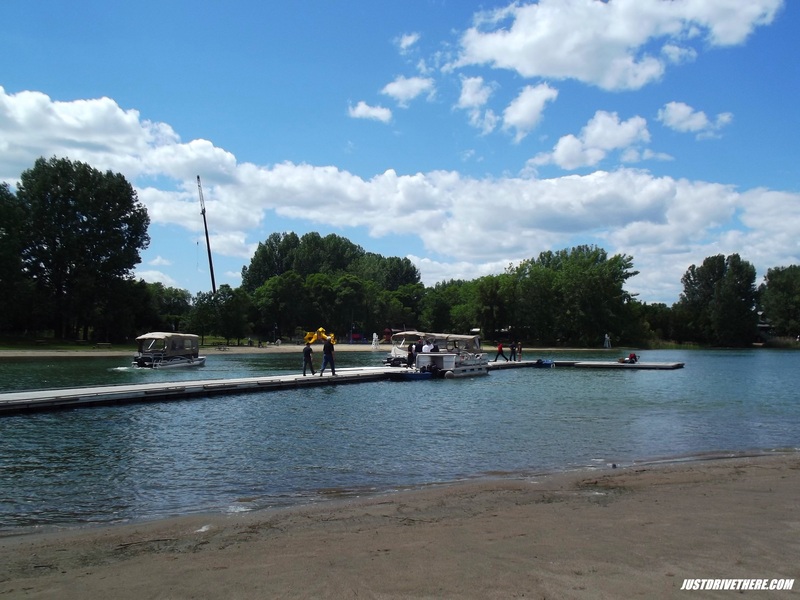 1 Response to 2013 Canada Grand Prix!